We've delivered to happy customers in 26 countries in 2016 and we're trusted by retailers internationally who are selling our products as brand partners. Your transactions are 100% safe and secure on Jeetly.com. We offer a price match guarantee to ensure you get our product at the best price available on the web. We want you to be happy with every purchase but if you need to return an item please follow the instructions on the dispatch note received with your parcel. We are happy to refund in full any unworn items or faulty goods received within 14 days. Follow the steps below. Please ensure the courier you use will deliver to the above PO Box address. Items should be returned new, unused, and with all Jeetly tags still attached and in original packaging, i.e where provided, zip bags, poly bags, Jeetly gift bags, gift boxes, outer bags, outer boxes etc. 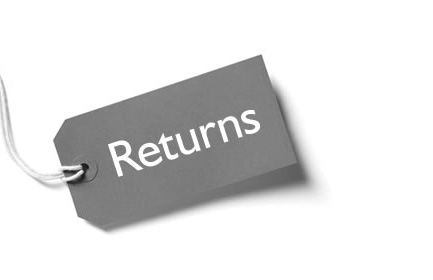 Returns that do not meet these requirements, are damaged or soiled may not be accepted and may be sent back to the customer. We will consider the condition of the goods being returned when making a refund. If the clothes are returned soiled (from make-up, covered in pet hairs, strong scent of perfume etc), the customer will be charged for dry cleaning. Jeetly.com will not be held liable for the loss of any returned items/parcels, We do not accept liability for packages damaged during transit back to us. We recommend that you obtain Proof of Posting. We recommend that you take out adequate parcel insurance to cover against consequential loss by the Post Office. All orders returned to Jeetly are automatically refunded to the original payment method account. Please allow 14 days from the date we email you to acknowledge that we have received your item and approved your refund. For International returns, please note that your refund excludes the shipping charge. Exchanges - If you would like a replacement item (alternative size or colour) we will re-order with no fee to you for Postage and Packaging. We cover the cost of postage for all exchanges internationally up to the cost of Royal Mail second class recorded delivery only. All parcels need to be returned via a tracked service. We will happily post out a different size or style to you for free. We will sometimes run a ‘free returns’ promotion too. What happens if I want to exchange? We are happy to exchange your item received within 14 days - just follow the steps below. As with returns, we offer you a 14 day timescale from the date you received the parcel. How long does it take to process my returns/exchanges? Exchanges: Return postage costs for exchanges will be refunded up to the cost of Royal Mail 2nd Class Recorded Service (except during promotional/sale periods) but proof of postage may be required via email. If the exchanged item is returned for a full refund, then the order has been deemed cancelled and you will receive a full refund; we will not cover exchange postage costs in this case. For international orders, we do not cover full postage charges for inward delivery of the exchange item, but we will cover the outward delivery of the exchange. This does not apply to the purchase of sale items; return postage and delivery costs for all exchanges of sale items will be charged. If the exchanged item is returned to us for a refund request, the second outward delivery cost will be deducted from the refund. See Terms & Conditions or call us on 0203 002 0603 if you have any questions and would like to speak to our Customer Service team. Refunds: If you cancel your order or return the item to us requesting a refund, you incur the cost of returning the goods to us. All returned items purchased in the Sale will incur a £3.00 delivery charge which is deducted from your refund and applied as credit on your Jeetly Account to use towards a future order with Jeetly. In the case of a faulty item, we will refund the postage cost up to the amount the customer paid for delivery of their order. For non-UK customers, the delivery costs of returning an item and all customs and import duties will be your responsibility. If we have to arrange redelivery of your order because the delivery information you provided was incorrect, the delivery cost will be deducted from any refund due to you.